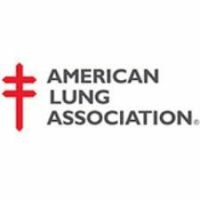 Idaho received an overall grade of “F″ in a new tobacco control report from the American Lung Association. The 2019 “State of Tobacco Control” outlines three recommendations for Idaho – increase funding for tobacco prevention and control work, raise the legal age for the sale of tobacco products from 18 to 21, and pass comprehensive smoke-free air laws at the local and state levels. Idaho isn’t alone in getting failing grades, as 43 other states also received a “F″ in the tobacco prevention and cessation funding category. The report includes an overall letter grade for each U.S. state and grades in five categories. Idaho received an “F” for tobacco prevention and cessation funding, “C″ for smoke-free air, “F’ for tobacco taxes, “C″ for access to cessation services, and “F’ for tobacco only for those 21 and older. One of the key findings nationwide in the report is the number of youth using e-cigarettes rose 78 percent from 2017-18. Six U.S. states and 350 communities across the country have passed laws to raise the minimum legal age to buy tobacco to 21. In Idaho, an effort to raise the legal age during the 2018 Legislature was defeated. Also of note, Idaho’s cigarette tax rate of 57 cents per pack ranks 45th in the nation and is considerably lower than the national average of a $1.79.